Reverse Engineering, a process that involves analyzing and creating designs/models of a part or an object requires expertise knowledge and skills to procure the desired results. At A. G. Design Engineering Consultancy, we have the necessary skills to extract the technical information out of any existing product and convert it into a CAD model. 3D Laser Scanning is one of the most efficient ways to carry out reverse engineering as it can squeeze out the best technical information out of the most complex surfaces. We can use technology that allows 3D Scan to CAD conversion of the technical data acquired. Our detailed 3D models capture the smallest details – even the parametric ones and utilize them to improvise the existing design, keeping in mind the production and development processes. 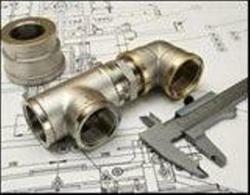 Our services don’t end at scanning, 3D scan to CAD conversion and making detailed engineering drawings. We also provide expert advices and suggestions to our clients for improvisation of their product’s design, quality and manufacturability.